The very reason of the establishment of Language Services Bureau in 1979 was to serve the ever-growing technical base and industrial belt of Pune (India), which was in an expansion spree, what with mergers, collaborations, transfer of technical know-how etc. Need a technical translation of your user manual from German to English?, Or your Autocad drawings require technical translation from English to Chinese?, Standards/specifications for technical translation from Spanish to English? for many International languages like French, German, Spanish, Italian, Portuguese, Japanese, Chinese, Russian, etc. With the use of unique specialized technical dictionaries, the translation, and interpretation of such content is authentic, consistent and exact – we guarantee that our technical translations are top quality and second to none in this industry. In technical translations, the most crucial part is the precise and consistent translation of terminology into the target language. It may sound unbelievable that a word in a technical dictionary may have up to 300 translations – i.e. one word can have so many meanings, but it is the translators skill, (with the help of his/her language skills and technical know-how) to select the most apt word in the target language fit for the given context. With colloquial terms and technical jargons that are specific to different countries, regions or dialects, only a technically sound person having in-depth knowledge of the source and target languages can do justice to such tasks. And sometimes even in hard copies!! Thorough knowledge about the use of such formats aids us to provide a technical translation which is exactly as per the original in formatting and alignment and which is delivered ready to print! 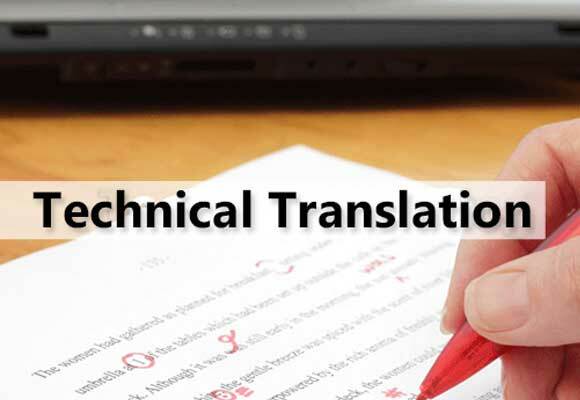 Professional technical translation services provided considering the above mentioned particularities by Language Services Bureau are therefore of the very best quality, and do not leave any trace of ambiguity. It is the test of a translation to read like an original. If one can guess that a document is a translation of another technical document, then surely there’s more work to be done. We employ only the very best translators in the world. They are screened during our selection process through sample test translations so that only specialists having the best qualification, industry experience and subject expertise handle translations for you. We work with dependable and experienced translators and interpreters who consistently display superior performance and quality results. We ensure that the translators and interpreters have the appropriate expertise required to provide you with a high quality, culturally sensitive translation in any field that you desire. Their knowledge of the subjects gives our translations a special credibility that can spell the difference between acceptance and rejection of your message with consequent effects on your business. It also gives them an edge over new comers to provide rapid translations for urgent requirements, while maintaining the quality of the work. In India, English is an official language and all our translators complete their formal education (of approx. 16-18 years) in English. Our translators for technical translation into English based in India are very experienced trained linguists with an excellent command over the English language, working in the translation domain for long years. The quality of our technical translation services is therefore the very best, and still cost-effective. Depending on the requirement, certified technical translation services can also be provided by Language Services Bureau.